Only a week more to go in Perth. Time here has gone so quickly. It’s then off to UK for Easter to see my family before returning to Waikato. On Saturday we had a tour of the bell tower on the waterfront. It’s a great looking structure (in my opinion) – and houses the original peal of bells cast for St Martin-in-the-Fields in London. Just how they came to Perth is a bit of a long story, but they had to be removed from St Martin’s because they were too heavy and were causing serious structural damage to the tower. Now they have a new home, along with a great many other bells. Collectively they are called ‘The Swan Bells’ – in Perth naming something is easy – just put ‘Swan’ in front of whatever it is. We had a go at bell-ringing. Not the St Martin’s bells, but some others. You’ve probably seen bell ringing on television – people energentically pulling down on ropes and letting them go – as the bells swing back and forth. We didn’t get to that stage. We just swung them gently and got them ringing. The experience was a quick tutorial in inertia and resonance. First of all, to get a bell swinging takes some force. Pulling the rope creates a torque on the bell, but a large bell doesn’t accelerate very quickly. One has to be patient. Once it is swinging a little, by pulling at the right time one can add to the amplitude of the oscillation. That’s resonance – applying a driving force at the right frequency. But a gently-swinging bell doesn’t sound. The reason is that the clapper is moving with the bell. To get it to sound, we need to get the clapper to hit the bell. The way to do that is to stop the bell and let the clapper keep swinging. Now, that’s hard work. This time we had to pull down on the rope before the bell reached its maximum displacement (i.e. as the rope was still going upwards). It did feel rather like I was going to be heading up with the rope towards the ceiling, but it didn’t happen. But it took some force to bring the bell to a sudden stop and cause the clapper to run into it. The final bit of physics was apparent on listening for my bell ringing. It wasn’t easy to pick out which bell was mine from among the other five or so bells ringing at the same time, because I heard the sound a short time after tugging the rope to stop the bell. That I think was mostly down to the time taken for the clapper to run into the bell once the bell has stopped. There would also have been a short delay for the sound to travel from the bell to the bell ringer several metres away, but I suspect over that distance it would have been barely perceptible. 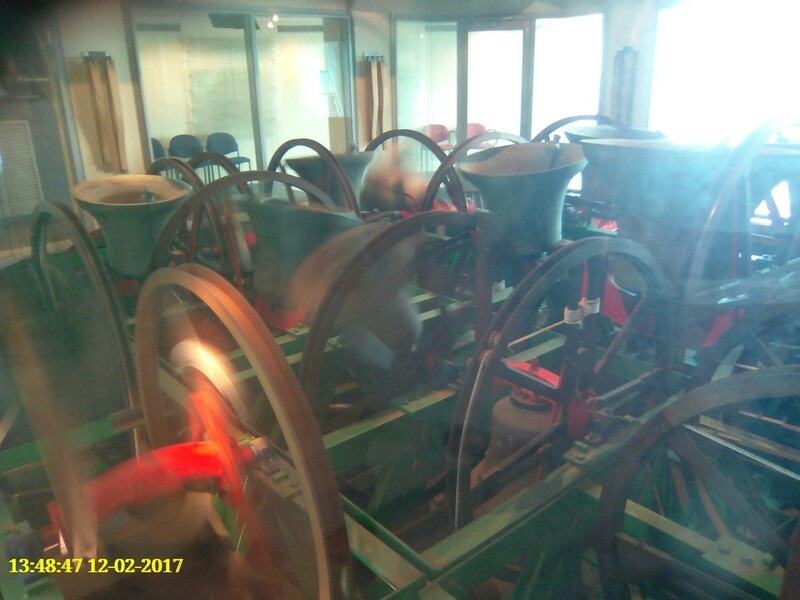 Some bellringers can keep going for three hours at a time – and make sure their bell sounds in the correct, constantly changing sequence too. That must be some impressive feat of physical and mental endurance. Finally, a photo (that I took a few weeks ago) of the Swan Bells in action – at the hands of the experts.